Spirit Airlines has announced a new routing to Cap Haitien, Haiti's second largest city. Haiti was once, and could be yet again, a significant tourism destination - but this would be unlikely if tourists coudl only enter the country through a congested and unpedictable Port-au-Prince. In Jamaica, most tourists fly into Montego Bay and bypass Kingston altogether. Cap Haitien, with its history, beaches, and relative stability, may eventually become Haiti's Montego Bay. Managed properly, increased tourism could be good for Cap Haitien and the north. A full article on Spirit AIrline's recent announcement by Jacqueline Charles of the is linked and follows. 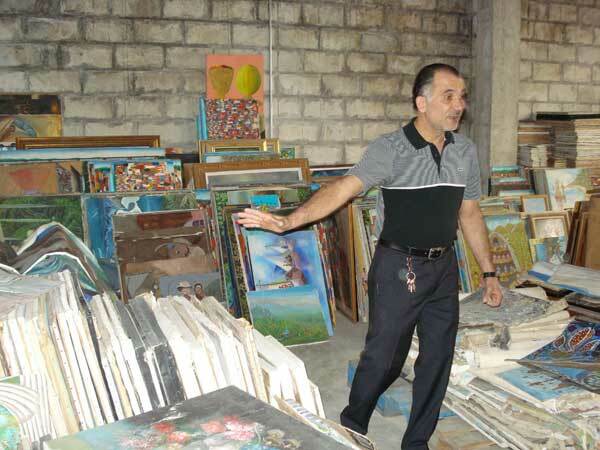 Haiti has long had a population of Arab descent, many of whom have played an important role in Haiti’s private sector and artistic community. A visit to the Nader Gallery, founded by the son of Lebanese immigrants, was required for anyone with an interest in Haitian art. The gallery and irreplaceable pieces of art were destroyed in the earthquake although the Smithsonian succeeded in salvaging some. Below is a well-written article (which I am just now seeing) about the Nader Family written by Nancy Beth Jackson and Maggie Steber. More information can also be found at the Nader Haitian Art, Gary Nader Art, and the Haitian Art Society websites. 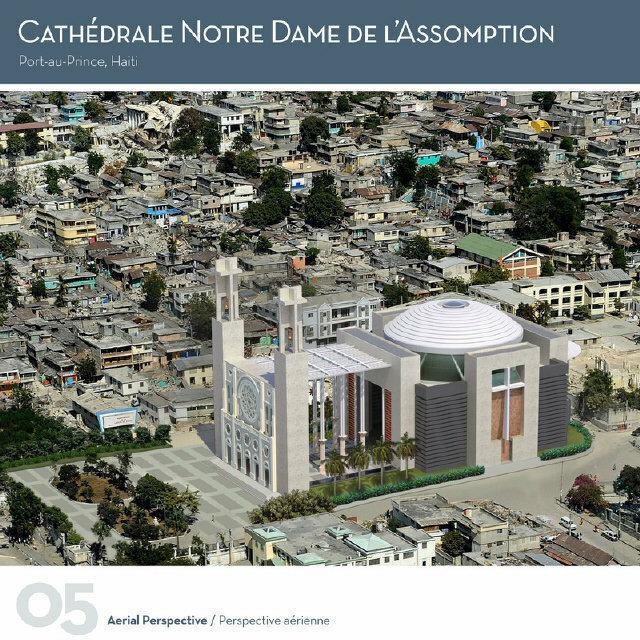 The Catholic and Episcopalian cathedrals were two prominent landmarks in Port-au-Prince prior to their destruction in the earthquake. Plans are now underway for the reconstruction of each. A Puerto Rican team has won an international design competition to rebuild the Catholic Cathedral. The Episcopalian cathedral will be rebuilt by a Virginia-based firm. Each will be built back better, able to withstand hurricanes and earthquakes. Learn more at the websites of the Catholic and Episcopalian Cathedrals. Full Miami Herald article below. To say the Dominican Republic and Haiti have a difficult history is an under-statement. Despite historical (and largely artificial) divisions, there is much the two countries share. This includes a love of music, dance, rum and a good fet/fiesta. 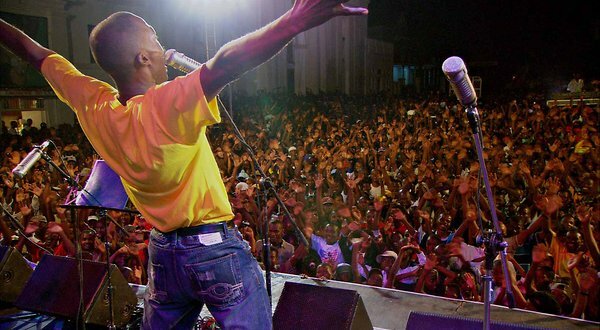 The Smithsonian Institution’s Latino Center and the Haitian and Dominican Embassies teamed up yesterday to hold a concert celebrating friendship among two peoples who share an island and a future. Enriquillo Tejada y Los Clarinetes Magicos and Tabou Combo represented their countries well. Orchestre Septentrional, founded in 1948, is as much an institution as it is a band. A New York Times article by Larry Rohter below describes how Septen, much like Haiti itself, draws from European, African, Caribbean, and Latin American influences to outlast uncertainty and adversity. Interested in hearing/learning more? Check out the new documentary about the band called "When the Drum is Beating." Or better yet, see them in Haiti. World Monuments Fund (WMF) is an independent organization that has been dedicated to saving the world’s architectural and cultural heritage sites since 1965. WMF accomplishes this through advocacy, education, capacity building, and disaster response. Each year, WMF releases a Watch List of architectural sites that are at risk. 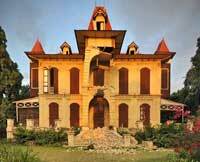 Three Haitian architectural sites were listed on the 2012 Watch List: (1) The San Souci Palace in Milot; (2) the Gingerbread Houses of Port au Prince; and (3) the Jacmel Historic District. Read about these sites and how to get involved in their protection below. The upcoming Haiti Donors Conference is beginning to take shape. According to the Miami Herald, we can expect to hear support for the creation of a 20 member Interim Haiti Recovery Commission (IHRC) to oversee how and where billons of dollars of aid flowing into Haiti are spent over the next 18 months. The IHRC will establish a Haitian Development Authority (HDA) to plan, sequence, and coordinate projects, all of which will require government approval. Take a look at the National Rebuilding Action Plan, based on the Post Disaster Needs Assessment, which will also be discussed at the conference. Thank you to Haiti Vox for posting the English version. There is a lot here to think about. Ill post my thoughts in the comments section, please do the same. Peace Corps/Haiti was never a very large program. However, Peace Corps Volunteers have long made a difference in Haiti both through the projects we participated in and the relationships we made. Likewise, Haiti made a difference for us, most of all, in the way we view the world. While Peace Corps is no longer active in Haiti, those who served there certainly are. All have been affected by the earthquake and all are taking action in some way. Below is a summary of what Haiti Returned Peace Corps Volunteers (RPCVs) are thinking, feeling, and doing in response. In this way, we both bear witness and re-affirm our commitment to stay connected to Haiti.